From the many problems in audio assembly (amplifier system) / power amplifier, the most commonly encountered is buzzing noise or oscillation disturbance low frequency. In this low frequency oscillation, the apparent symptoms are marked by the buzzing speaker sound and the forward or backward movements of the woofer speakers. Try measuring with a multimeter at the speaker output point (amplifier). Rotate the AVO-meter scale on DC volt, if there is still a DC voltage at the amplifier output, check the final transistor and also check the driver (do it without installing speakers). Ideally, DC Voltage should not be more than 100mv. *This applies for OCL power amplifiers (Output Capacitor Less: shown without capacitors at the speaker output point). Check capacitor power supply, is it worth it? Use capacitor with high capacity value, minimum 10.000uF. Also check the power supply sytem for initial amplifier and amplifier finally, is it one? Try to removing the power supply for the initial amplifier and listen to the sound from the speakers, is there still a buzzing sound?. 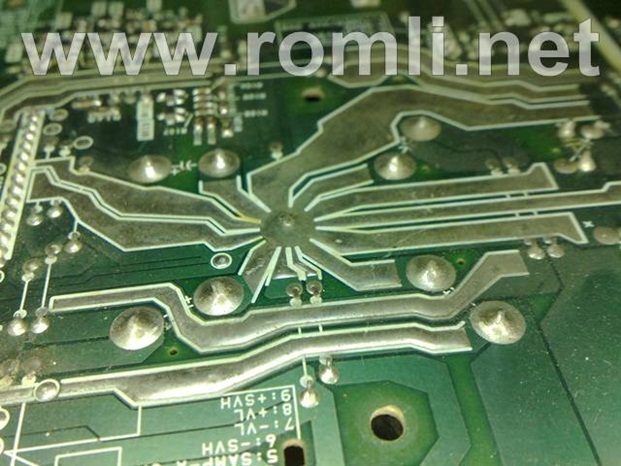 If there is no buzzing sound, make another special regulator to supply the initial amplifier. • The laying of the transformer. In its work, this transformer will produce a magnetic induction. Try putting it away with the circuit or changing the position of the transformer so that this induction does not enter into the circuit so as not to cause a buzzing sound. Or you can make a shield around the transformer body. • The cabling system is not good. For this amplifier circuit, signal connecting cables should use a veil cable (coaxial cable). As you know, this coaxial cable there is a protective on the outside that serves as a protector of the transformer impacts in a single cabinet. The quality of the components in the marketplace (sold in retail at an electronics store) is different from the quality of the built-in components of branded devices. My experience in improving this component is to try to replace existing passive components like a regular carbon resistor, replaced with a metal film resistor. And also, replace the transistor / IC driver with better quality. Try to release the voltage to the fan, if it does not happen buzz again, try using a special regulator for the fan. For example, use IC 7809 to supply it (when the required voltage is DC9V). Or you can use a regulator circuit for fan amplifier. • Fix the grounding system. See the path in the ground circuit, a good grounding system path is to apply the ground system at the one point. 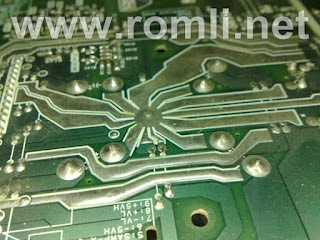 Avoid poor ground installations, such as the ground of the speaker output are connected to the sound control ground and then connected to the initial amplifier, then to 0 Volt on the power supply, this is the cause of buzz. *This is called the ground loop / rotating grounding system, avoid this ground loop!. Should connect at one point only that is leading to the ground of the power supply. Or just connect the ground of each circuit directly on the body cabinet, so the ground point is the body, provided that the ground of the transformer (0 volts) must be connected to the body as well!. Hopefully the article on Eliminate buzzing sounds (low frequency oscillation) in the amplifier is useful for readers..